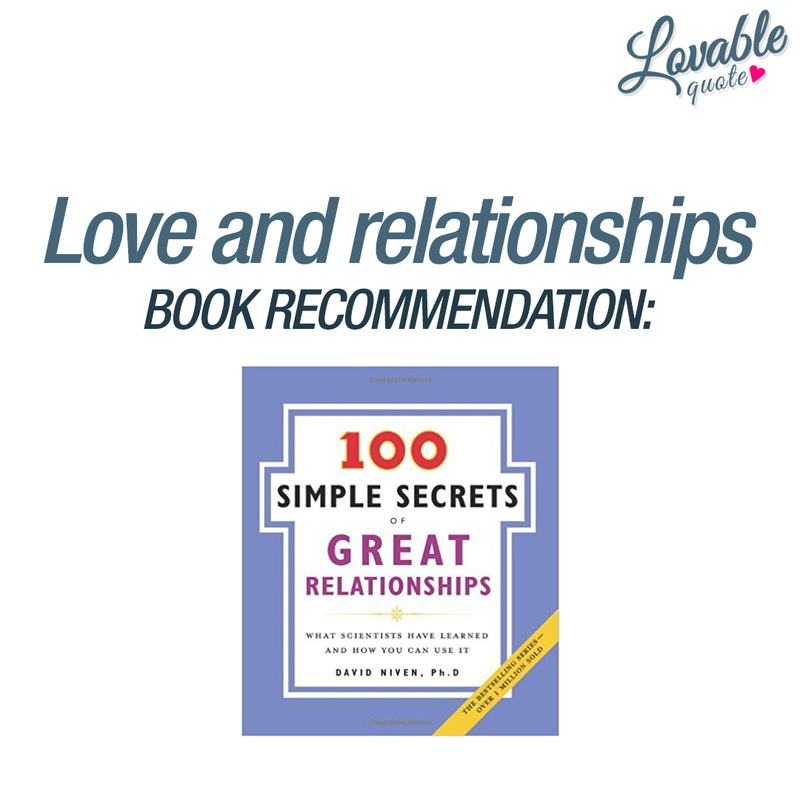 Book recommendation: 100 Simple Secrets of Great Relationships. by admin | Jun 19, 2018 | Our blog about Love and Relationships! Love and relationships can be hard. I mean.. Being together with someone you love is one of the most amazing things you can experience in life. And we think that there’s really nothing that can beat the feeling of being together with someone you truly love, trust and admire. A great relationship is without a doubt something we absolutely love. But relationships are still about two different people. Two different minds, bodies and souls that need to make each other happy and making sure that happiness exist within him or herself as well. That’s what we mean when we said that relationship can be hard. As you go through life and as you go through relationships, hopefully you’ll learn a thing or two from each relationship. Not only about your partner but about yourself. You’ll learn what you are good at, bad at and you’ll see new sides of yourself that will help you in your next relationship. So just by living life, loving and being in a relationship you LEARN what works and what doesn’t work – but it’s still great when someone goes and writes a book that focuses on sharing 100 secrets of a great relationship! What are the most important qualities of a great relationship? What do people in healthy and happy relationships do differently (as opposed to relationships that does not last)? The (bestselling) author of the “100 Simple Secrets series” has collected the a ton of data from more than a thousand studies on relationships and shares it all in this book. We love that this is NOT just based on one person’s unique experiences but MANY.